Celebs, they’re just like us, right? Here’s a glimpse at celebs who appear to be equally obsessed with their fur babies as we are, and rightfully so. 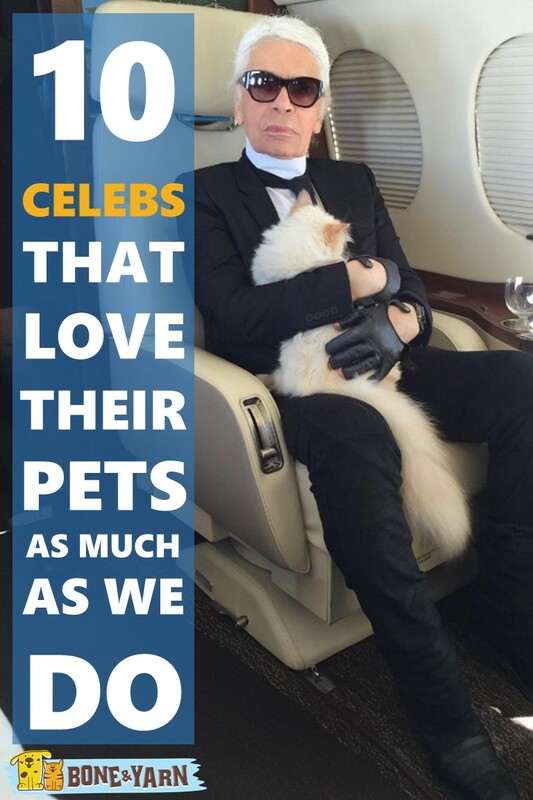 From Taylor Swift’s cute Scottish Fold to Lady Gaga’s tribe of Frenchies, Miley Cyrus’s rescue dogs (and a pig, alike) to Karl Lagerfeld’s First Class seatmate Choupette. Have you seen this many cute dogs and cats in a post together?! … you’re welcome. Scroll through Taylor Swift’s Instagram and you’ll catch a glimpse of her adorable blue-eyed cat baby Olivia Benson, named after Mariska Hargitay’s character on Law & Order: SVU! Recognize those ears? She’s a Scottish fold! Just a little cat in a big world. My cats are always coming up with new, innovative ways to sit around. Taylor Swift’s not the only one with a Scottish Fold! Ed Sheeran has a pair of cats who seem to get into quite a bit of trouble, per Sheeran’s Instagram. Cara Delevigne rescued her Husky crossbreed Leo in 2015 and has been in several glamorous Instagram photos with her pooch since! Sharing a bed with a bunch of dogs is just like any other day for Miley Cyrus who has a total of 13(!) pets, including her fiance Liam Hemsworth’s two dogs. She’s rescued several dogs, cats, and even a pig! Clearly Liam’s just as much of a fan of animals as Miley! Lady Gaga herself has a house full of French Bulldogs named Koji, Miss Asia and her latest addition who she’s yet to name. Doesn’t get cuter than this! 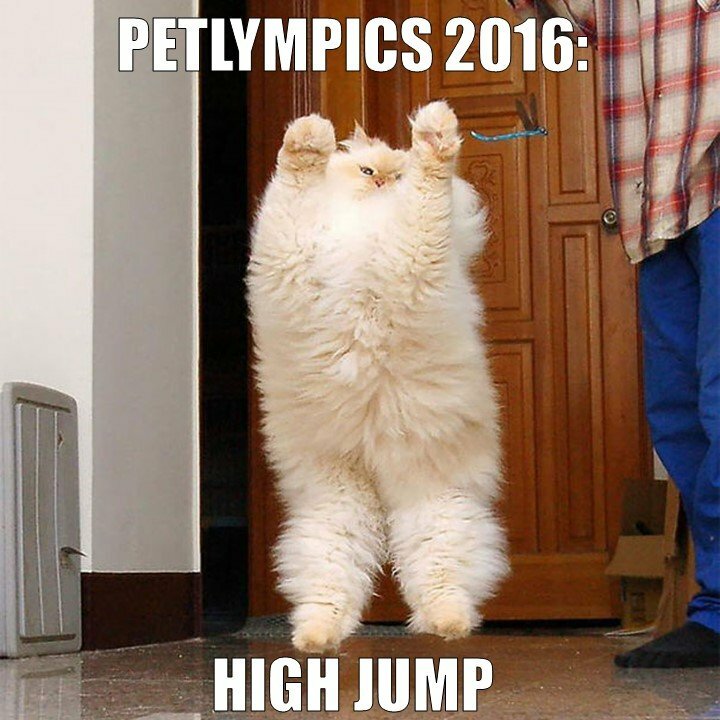 Karl Lagerfeld’s cat Choupette has her own Instagram with 95.8K followers! And apparently she’s a regular in First Class. Olivia Palermo has two pieces of arm candy — her model husband Johannes Huebl and her adorable little pup Mr. Butler. (Is that not the cutest name everrr?!) Lucky girl!
? ?‍♀️?Runs in the family…..They both have big personalities ?#demandingNewYorkers ??? The only one nearly as famous as Marc Jacobs is Neville Jacobs, his bull terrier who has garnered 200K followers on his own Instagram account and just came out with a coffee table book this past September called Neville Jacobs: I’m Marc’s Dog, full of styled photos and cute candid shots of Neville and his owner. John Legend and Chrissy Teigen have a few little ones at home! Their daughter Luna will turn one in April and is pictured here beside her “big brother” Puddy the bulldog. In addition you’ll spot the couple’s two Frenchies Pippa and Penny in various Instagram photos. Want more cute dog and cat photos? Follow Bone&Yarn on Instagram for more!